Do you remember how much of a hassle was it to install drivers on Windows 98? Setting up a LAN connection could easily take a couple of hours of hard work, while installing and making work the whole OS could easily take the whole day. Now, compare that to software and driver installation on modern operative systems where everything is done almost automatically for you. Apparently, same thing is about to happen with cryptocurrency mining. We are used to the thought that it takes a lot of knowledge and manual work in order to set up and overclock a mining rig. However, the team behind easyMine promises to automate this process for us. easyMine aims to make crytocurrency mining as easy as it can possibly be. It is meant to allow anyone (even complete newbies) to properly set up and overclock their mining rigs in one click and get outstanding results. Some people believe that not only tech savvies should have access to cryptocurrency mining. The team behind easyMine thinks the same way and they are about to prove that setting up a mining rig can be as easy as sending a WhatsApp message. Simply put, easyMine is a solution that combines AI technology with everything we know about cryptocurrency mining so far. 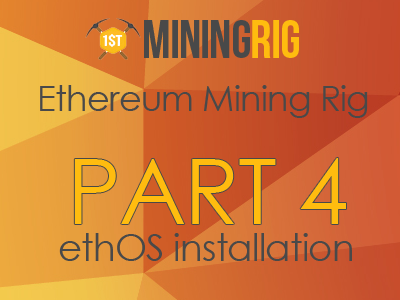 easyMine will take care of keeping the drivers and BIOS versions of your rig properly configured and up to date. The AI will do the job for you by finding the sweet overclocking and undervolting spot for each of your GPU’s, making those hash at the top of their capability. Moreover, thanks to easyMine, you won’t even have to ask others for advice ever again since easyMine’s AI will be using data collected from all the mining rigs in the easyMine network. This natural selection of the best driver/BIOS versions, clock speeds, voltages and other configurations will probably allow easyMine to configure your rig better than you could ever do on your own. easyMine’s ambitions don’t end there since they also aim to choose the pools and coins for your rig to mine. Ethereum mining is losing profitability? No prob, easyMine will calculate the profit based on new coin price and will switch your rig to other altcoins, if needed. An OS (eMOS) that is meant to be installed on a flash drive. The eMOS is an open-source custom operative system that includes all of the required GPU drivers and other pre-installed components such as mining software for most popular cryptocurrencies. It also got a signature script package for smart hardware management. The eMOS also keeps in touch with the easyMine server. easyMine Server. If the eMOS is a toolbox, then the easyMine server is the hands that operate the tools. The server does all the tweaking on your rig such as configuration of clock voltage, clock frequencies, BIOS/driver versions, currency management, etc. As you already know, there is an AI that operates those parameters. The server gathers data from all the connected rigs and uses it to find the best configuration for each of the rigs in the network. An easyMine Dashboard that is a simple and intuitive interface that allows the end user to monitor their rigs through a web browser. There is also easyMine Mobile, which grants the same access through a mobile app. Access the easyMine server from a PC or mobile, type in the address of your wallets and start enjoying the income. easyMine is a project that is more than just a beautiful idea. The beta version of the easyMINE OS is already there and is being actively tested. The easyMine server is on alpha and is expected to get on beta stage in a couple of months. easyMine as a whole is expected to become available to the public in about half year. The mobile version of the dashboard is expected to come last, somewhere around Q3 and Q4 of 2018. As with any ICO, you are invited to take part in their bounty program. As a reward, participants will earn EMT tokens, which will be later used to purchase easyMine services. EasyMine is the kind of projects that aims to change completely the way we mine. Just imagine a world where you don’t have to know a thing about software, hardware, BIOS flashing and so on in order to be able to get the most from your mining hardware. This is indeed attractive for newbies but guess what – experienced miners might find EasyMine attractive too. You imagine how much of a time-saver EasyMine might become if everything goes as they promise. As someone who owns several mining rigs with dozens of GPUs, I do accept the idea that EasyMine can potentially make my mining experience way more pleasant and fruitful.